Lozier shelving allows for impressive variety and creativity. From standard display shelving, to accessories for almost any product, to custom applications with additional millwork, signage, and colours, the limits are defined by imagination. Combining the resources of our customers imagination, Loziers' experience, and Blazers' customer service, we have been able to supply and design value added display options for a variety of retail applications. 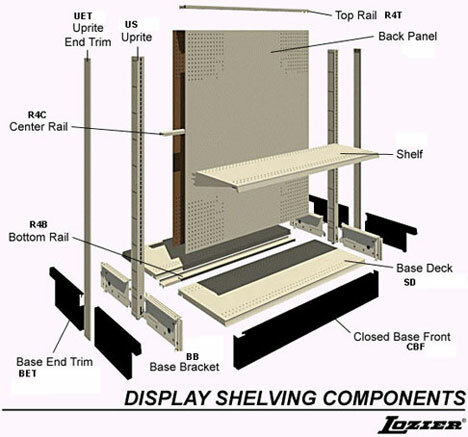 Check out the options available from the Lozier catalog, then contact us to work with you to create your front room displays.